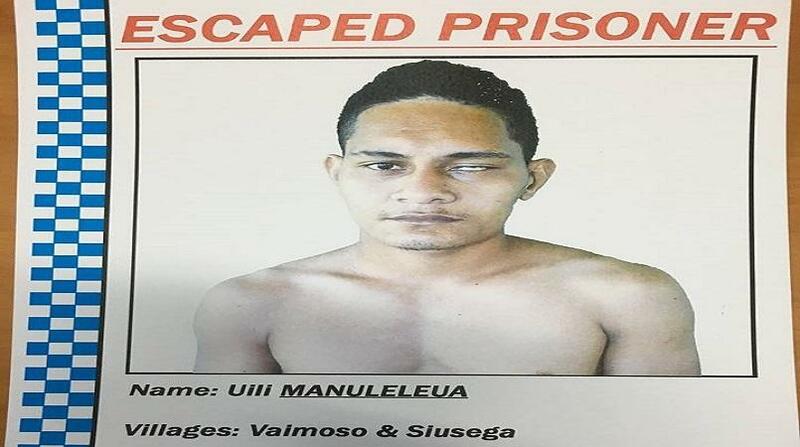 Authorities are still on the hunt for prison escapee, Uili Manuleleua who escaped from Tafaigata Prison last month. 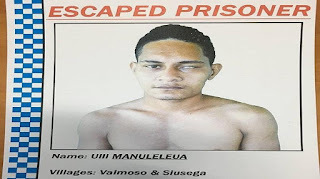 Manuleleua was one of four prisoners who broke out of the prison a week before Christmas. Three others have since been recaptured and are now back in prison. Police have previously advised the public not to approach the escapee has he is considered dangerous. Samoa Prison Services said the public's safety is their priority at this time of the year and the police are working around the clock to catch the criminal.